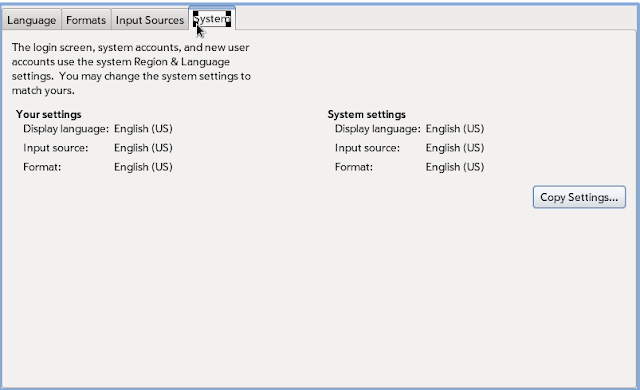 The goal of this settings panel is to provide access to regional and locale settings. This includes: user interface language, locale formats, keyboard layout, input method languages, etc. Decide how formats should be displayed. eg. 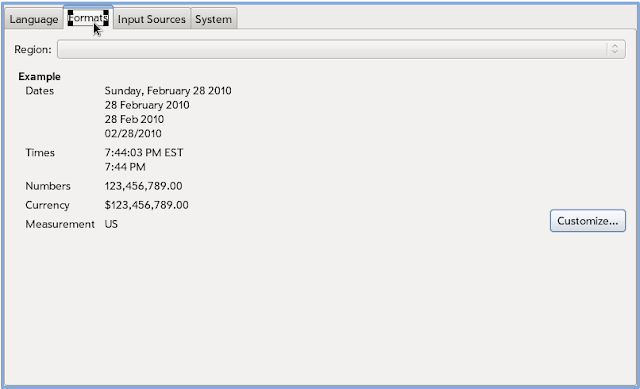 Might want currency and time to follow local convention, but use a display language that isn't native to that region. 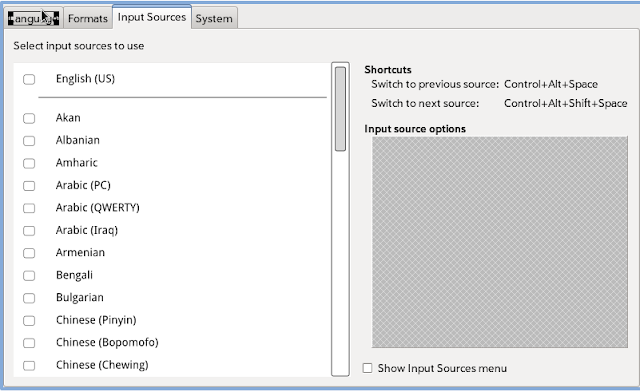 Choose a list of input sources - either keyboard layouts or input sources. Locales are composed as <language>_<country> pairs. For example: en_US (English, United States), ja_JP (Japanese, Japan). The language (LC_MESSAGES) and format settings (LC_TIME, LC_NUMERIC, LC_MONETARY, etc) are assigned a locale. 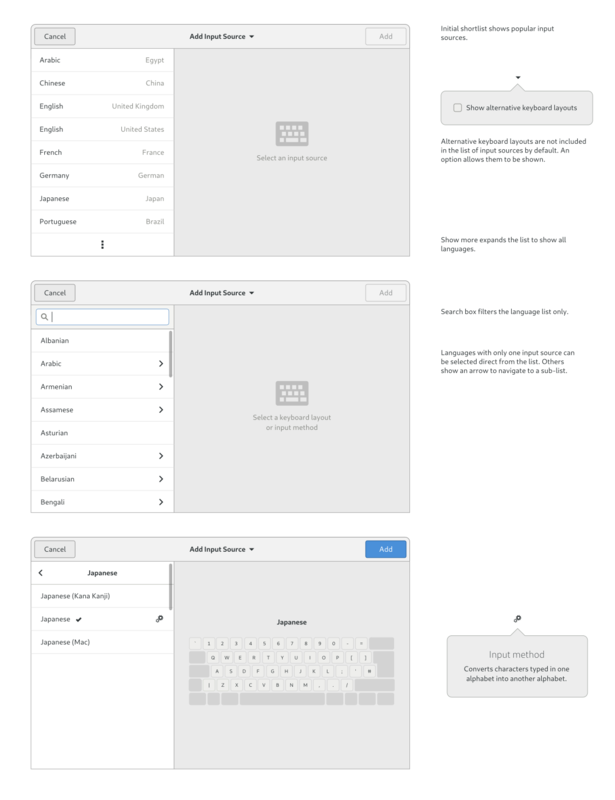 Since the format settings include a language, they can have a different language from the UI language (LC_MESSAGES). 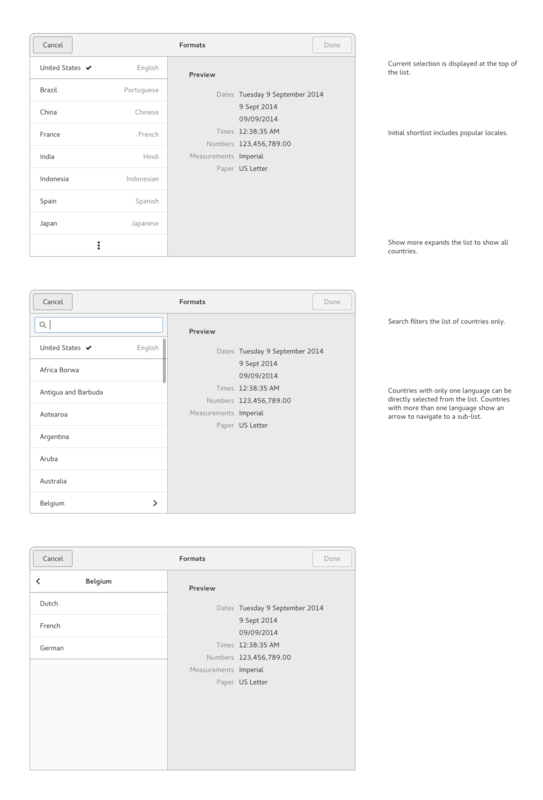 For example: dates can be displayed in a different language from the rest of the UI. Only a subset of possible <language>_<country> combinations are available as locales. It isn't possible to offer a choice of any region for the formats setting, therefore: both the language and formats settings have to expose both the language and country elements of their locales. When using XKB to manage multiple layouts and switching between them, there is a hard-to-lift restriction of at most 4 layouts that can be active at the same time. Instead, we should use a higher layer, namely IBus to switch between active input sources. 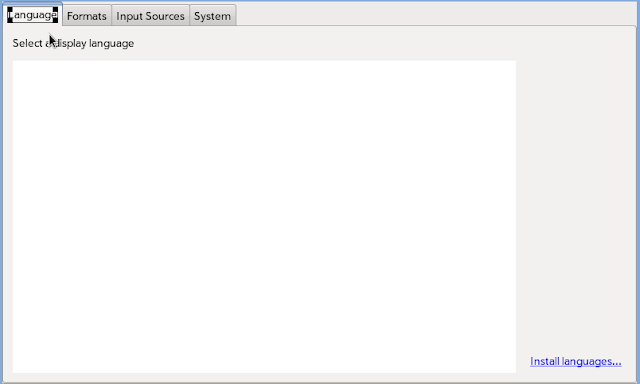 In this scenario, only one XKB layout at a time is set, and the restriction on the number of active layouts no longer applies. I'm therefore proposing that we use the Third Level Chooser as the default method for inputting alternative characters. The Compose key can be made available by another means for those who want to use it.